A Boston museum honoring the popular children's author Dr Seuss has become embroiled in a race row over a mural depicting a "jarring stereotype" of a Chinese man. 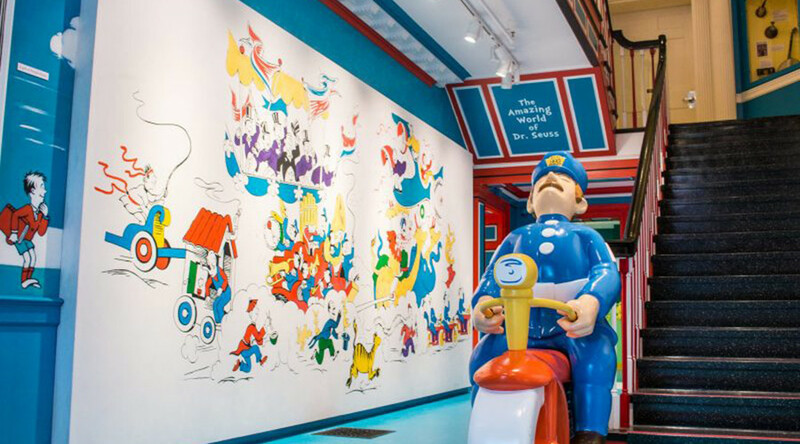 The Dr Seuss Museum in Springfield, Massachusetts has agreed to remove the offending image but has now been criticized for kowtowing to political correctness. The illustration in question was taken from Dr Seuss' first book, 'And to think that I saw it on Mulberry Street,' from 1937. "This is what Dr Seuss would have wanted us to do. His later books, such as The Sneetches and Horton Hears a Who, showed a great respect for fairness and diversity." Andy Yee, a local businessman, offered to buy the mural if it is removed. “That’s my ancestors coming to this country in the 1930s. We did not come wearing Louis Vuitton and Gucci. Why do you want to change history?” Yee said, as cited by Mass Live. Yet more criticism of the decision came from Springfield Mayor Domenic Sarno, who said: “We should not have acquiesced to these authors’ demands. It’s their choice – their prerogative not to be part of the event. Again, where do we draw the line? This is political correctness at its worst, and this is what is wrong with our country." Former First Lady Michelle Obama was even dragged into the racist argument retrospectively, after photos emerged of her reading a Dr. Seuss book to preschool children.